If you are struggling to get enough sleep each night, you’re not alone. In fact, it is estimated that 45% of Americans have sleep issues that affect their day-to-day lives. 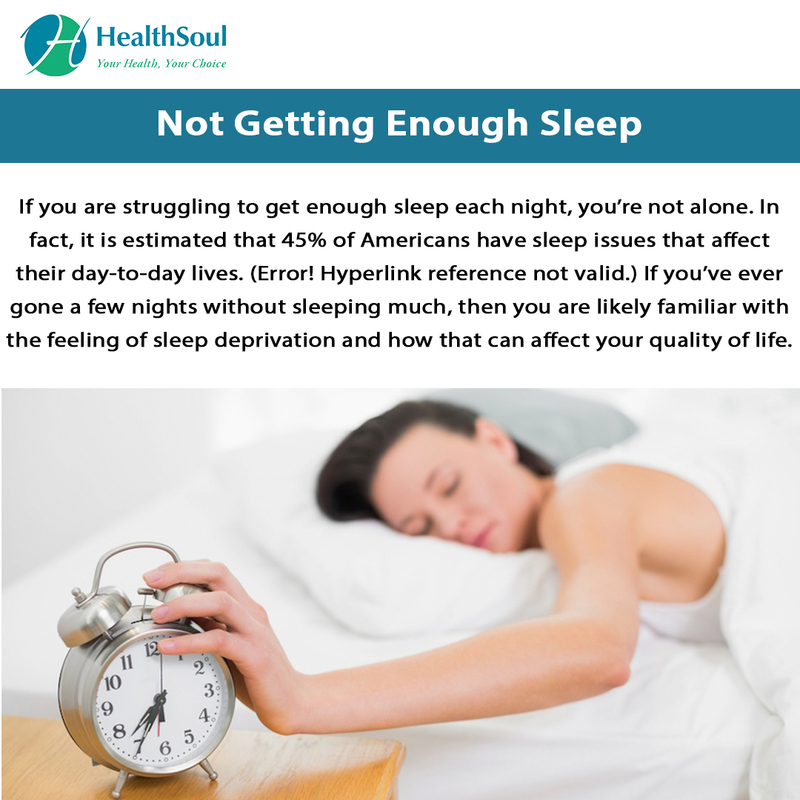 If you’ve ever gone a few nights without sleeping much, then you are likely familiar with the feeling of sleep deprivation and how that can affect your quality of life. If a lack of sleep is getting in the way of your quality of life, keep reading to learn the top five ways to boost the quality of your sleep. #1 Get to Bed Earlier: Believe it or not, getting to bed earlier can actually help improve the quality of your sleep. Why? Well, this all has to do with your hormone levels. If you go to bed past 10 PM, you run the risk of experiencing an evening cortisol release which can keep you tossing and turning all night. It is also best to get to bed earlier before you feel overtired and have a hard time falling asleep. #2 Create a Nighttime Routine: Night time routines aren’t just for little ones, they can really help improve the overall quality of your sleep and help you get to sleep earlier as well. Create a calming evening routine that involves shutting off all electronics at least two hours before bedtime and wind down with a calming 5-minute meditation, or a relaxing essential oil bath. Stick to your routine at the same time each night. #3 Use Essential Oils: Essential oils can be a great way to calm the mind before bed. Lavender is especially helpful and can be diffused in your room, or diluted in some coconut oil to be used as a DIY lotion before bed. If you find yourself tossing and turning thinking about all the stressors you have going on in your life, lavender can be especially useful. #4 Sip on Herbal Tea: Try sipping on a mug of herbal tea before settling down for the evening. This can be a great way to signal that it’s time for bed and can help relax your body and mind before sleep. Herbal teas like chamomile are great and can be sweetened with a small amount of raw honey. Try herbal tea in place of sweet drinks or desserts before bed. #5 Ditch the Sugar: We all know that sugar is bad for us, but did you know that it can also affect the quality of your sleep? Sugar can make you feel wired and can cause some pretty significant blood sugar imbalances. Try to reduce as much sugar from your diet as possible, and you will definitely want to stay away from it the closer it gets to bedtime. Sleep issues affect so many Americans and can significantly impair the overall quality of your life. 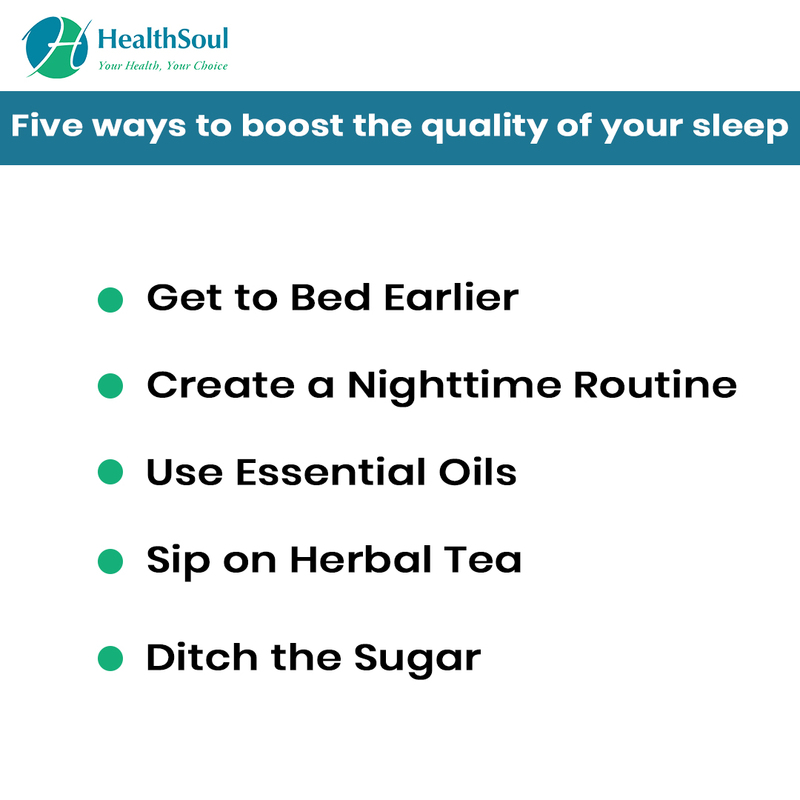 Instead of suffering from sleep disturbances each night, take matters into your own hands to improve the quality of your sleep without the use of sleep medications. You would be surprised at what an evening routine, some dietary changes, and some relaxation can do for your sleep habits.